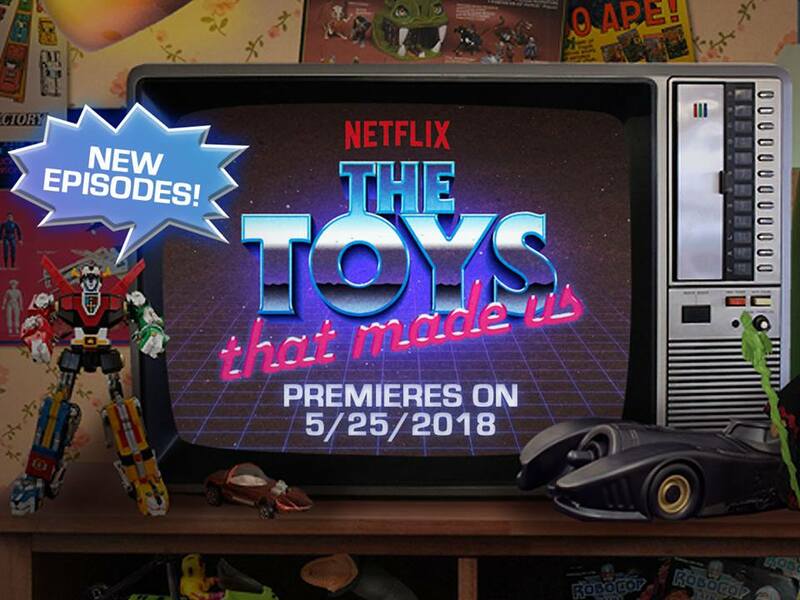 Netflix’s well-received series The Toys That Made Us has just shared the date of the premiere of their next episodes: May, 25th on Netflix. 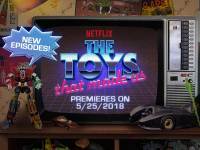 This awesome documentary series really impressed fans of different popular franchises with the first 4 episodes of their first season, covering Star Wars, Barbie, He-Man and G.I Joe. Fans and collectors were looking forward for the next episodes, and now you can finally start getting ready for: Lego. Hello Kitty, Star Trek, and Transformers, of course. 31 days to go! What are your expectations for the Transformers episode? What do you think we will see? Let us know your expectation at the 2005 Boards! Interesting. To me, YT is for music and cooking videos. Other than Cobra Kai, there’s nothing on there I’d want to sit and watch for any extended period. We don't even get the pay YouTube. I watch news commentators, comedians, and other videos I can't discuss here. My kids have been watching Smallville lately. When I get time (ha!) I want to watch Bots Master. And I would reply in kind to a non-TF collector: i.e. it's fairly good if you have a casual interest. And actually, my GF reacted exactly like that after watching it. She had seen some TF episodes as kid, knows something through me, and found it very informing. But as forum members we're definitely better informed. We have a longer and more intense interest in the franchise. And thus you are right in that we're not the intended audience. However, that would then also apply to the forum member I was replying to. She/He as a member of an online tF forum also isn't the intended audience. And speaking from one forum member to another, I found it superficial. You can get better and more in depth TF history elsewhere. I just think it's unfair to criticize it for not being something it was never intended to be. OF COURSE it's "superficial" by the standards of those of us who have been following TFs for forever. I'm still glad it exists. I actually think there is a market for a feature length TF doc. He-Man has one. Why not TF? I would contribute to the Kickstarter if anyone wants to do it. As has been stated many times over, we're not the intended audience for these things. This is for the general nostalgia audience. We're TF fans who have been living and breathing this stuff for 35 years. This was for folks who might remember TFs fondly, but otherwise haven't been keeping up with them. I dropped Netflix too. We spend most of our time watching YouTube. Saw the bump and was hoping a new Season was on the way. I had Netflix years ago when I had more time to watch TV. It was great at first, but towards the end I was barely watching it; so I decided to use that money elsewhere. If there's a movie I really want to see I just rent it through Amazon or at the redbox (it isn't often enough to merit a subscription). If it's something I really like and would like to watch again and again, I buy the blu ray – it's a better long term investment. From what I've read, I think this show might fall on that latter category. I found it to be a bit superficial. Okay to watch, but I knew everything they said and often in much more detail. Plus, they had to fit it all in under an hour. I'm planning on watching this soon, but what's the verdict here about it? Is there enough TF coverage?…is it good stuff? I really enjoyed the entire series. Yeah, there wasn't anything "new" in the TF episode, but it was still a fun watch. What surprised me most was how the episodes about properties I don't care at all about were so entertaining. Even the Hello Kitty episode was fun to watch. If you're not opposed to spending time watching shows about the history of the toy industry, the set is worth a purchase regardless of whether you're a fan of any particular property involved. It's just a really well made show. I also would be intersted in the GI Joe and MOTU, is there a good chunk of that too? Thanks. It’s a brilliant, brilliant series. In terms of “enough” coverage, each episode is approximately an hour. It’s designed for a general audience, so I can pretty much guarantee there will be nothing new to you in the TF episode (and any other if you’re an equally big fan of that property) but that doesn’t mean you won’t enjoy it. The TF one is mostly focused on how the toys were imported from Japan and the initial mythos was created. As other posters have said, they mostly gloss over later G1, briefly mention Beast Wars and the movies, and not much else in terms of later iterations. Why wouldn’t you just subscribe to Netflix? Probably half the price of a Blu Ray, and there’s a ton more to watch as well. I haven't seen this show (no Netflix) – I have a question to those that have: should I hold off until the blu ray release? Is the extra resolution worth it on this particular instance? I just hope there actually is a blu-ray release to wait for in the first place. It might not be necessary, but I don't see why not have one. Volk-weiss mentioned in the comments that they're "workin" on it. Huh neat. This was a really cool doco series. Probably won’t buy it but I dunno.